Not quite ancient aliens but at least ancient Space Invaders! 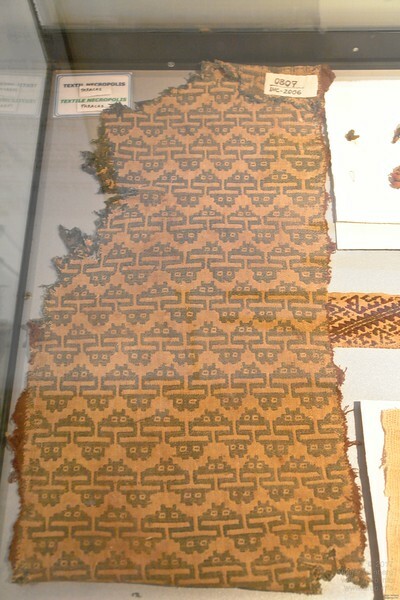 Textile, at least some hundred years old from an excavation in Parascas. Paracas History Museum.